"You have my full attention until a customer calls." At Anthony, customers take priority, it's our culture. We've earned Angie's List Super Service Award for 10 years running. We have been providing home-town service since 1951. Still locally owned and operated. Is there any other way that really works? The company has over 120 coworkers and operates out of a state-of-the-art facility. Technicians receive over 100 hours of training per year to serve you with the highest quality of service in our marketplace. 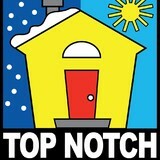 At Top Notch Heating, Cooling & Plumbing, we offer you honest, reliable, and expert HVAC and plumbing services. Not only are our plumbers and HVAC technicians some of the most qualified in the industry, but they are also instilled with a sense of pride in their work and act in a professional and polite manner. This means they will leave your home as clean as it was when they came in, by covering up your floor, laying drop cloths and runners, wearing shoe covers and, of course, cleaning up their work area before leaving. Mid-West Home Comfort is an HVAC and plumbing contractor providing services to the Kansas City area. Their professionals provide a wide range of services including air conditioning, heating, indoor air quality, and plumbing. 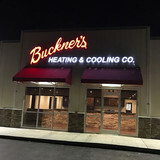 Their HVAC technicians can install, repair, and replace air conditioners, boilers, furnaces, and heat pumps. Their plumbers specialize in plumbing appliance and fixture installations as well as extensive projects involving water, drain, and sewer lines. Meeting the needs of Kansas City metro area families and businesses for 65 years. We are a team of highly skilled, trained and friendly professionals with master mechanical and electrical licenses. Your heating, cooling, electrical, and generator company of the Northland since 1954. Welcome to Town & Country Heating and Cooling Company: a tiptop heating and air conditioning company serving Kansas and Missouri. If you’ve given up on finding an HVAC contractor that prioritizes your satisfaction, we have good news. When you partner with the Town & Country team, we put your comfort and budget first. Delivering superior follow-through and guaranteeing our workmanship, we supply the client-focused service you deserve—and nothing less. Town & Country’s comprehensive service offerings meet your most challenging indoor climate and air quality needs. Taking your trust seriously, Town & Country strives to earn 100 percent satisfaction with every visit. It’s value you can hang your hat on, and service that will make you smile. Get started today by contacting our team for a no-obligation consultation on the best system replacement for your home and life style. AFC Heating and Cooling was founded in 1956 by Arthur Spellerberg as Art’s Furnace Company. It began as a one man operation and now, with David Spellerberg (one of Art’s two sons) as President, has grown to be a major Residential and Light Commercial Contractor in the Greater Kansas City Metropolitan area. AFC is now a 3rd generation family owned and operated company with David’s two sons prominently involved in running the business. Celebrating our 60th year in business, AFC now installs over three million dollars per year worth of heating and cooling equipment with our work force of 29 employees and 24 trucks. Our office, warehouse, and manufacturing facility encompass 20,000 square feet and are located on the northern edge of Lee’s Summit near I-470, enabling us to go to any part of the city within minutes. Our sheet metal shop, where we custom manufacture all our own ductwork, is equipped with the most modern up-to-date equipment. Our service department features rotating on-call after hour technicians and an after hour answering service to provide 24 Hour Emergency Service throughout the Metropolitan area. We are members of the Local and National Chapters of the Air Conditioning Contractors of America (ACCA), the Local and National Chapters of the National Association of the Remodeling Industry (NARI), the Better Business Bureau and the Lee’s Summit and Missouri Chambers of Commerce. We are licensed and insured to do business in all cities in the Metropolitan area. Heartland Quality Heating & Cooling repairs, and installs air conditioners, heat pumps and furnaces, we are based in Lee's Summit Mo., and service the entire Kansas City metro area. Heartland Quality strives each and every day to provide the best in-home services possible. Heartland Quality Heating & Cooling is a preferred contractor with both MGE and KCP&L for instant rebates on qualifying equipment replacement. Heartland Quality provides repair, and replacement options for your furnace, air conditioner, heat pump and boiler. Balance Point Heating & Cooling Inc. is a family owned company based in Raymore, MO. Specializing in air conditioner repair, a/c installation, furnace repair and furnace installation, Balance Point offers commercial and residential heating and cooling services in the Kansas City area. Emergency service available. Call 816-265-0448. Mission Plumbing Heating and Air Conditioning, Inc. is a family owned local business located in Shawnee, Kansas since 1978. We specialize in residential plumbing, heating, and air conditioning repairs to all brands and replacement with Trane total home comfort systems. Trane has recognized and rewarded our excellence towards total customer satisfaction with the Trane “Comfort Specialist” designation. We are factory trained and have the nationally recognized NATE certification for your peace of mind that you have contacted a certified professional. We offer 24 hour emergency service for plumbing, furnaces, air conditioners, heat pumps, and boilers scheduled maintenance plans on your existing system and system replacement with Lennox and Trane furnaces, air conditioners and heat pumps, Honeywell and Lennox thermostats and control systems and Aprilaire humidifiers. All of our pricing is “Up Front” pricing so you know what the total cost of any work before you authorize any job to be done. Please do not hesitate to call us anytime with your questions or needs for your home’s heating and cooling system and plumbing. Lutz Plumbing, Inc. is the trusted plumber for drain, sewer, water heater, water treatment and commercial services in Kansas City, MO and the surrounding Missouri and Kansas areas. We offer installation, repair, replacement and maintenance services including 24-hour emergency plumbing services. 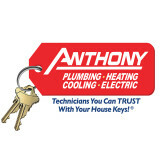 Contact us today to schedule a service appointment with one of our friendly plumbers! What do HVAC contractors do? “HVAC” stands for “heating, ventilation and air conditioning.” An HVAC technician or contractor specializes in heating systems, air duct cleaning and repairs, insulation and air conditioning for your Kansas City, MO home and other homes. Generally, Kansas City HVAC contractors or HVAC technicians work with or run companies that repair or install heating systems and air conditioning units for homes. But they have specialized services too. For example, if you are a wine collector and you are thinking of installing a wine cellar in your Kansas City, MO home, you might hire a Missouri HVAC professional who specializes in refrigeration work. HVAC professionals can use their skills to help you to save money on your Kansas City, MO home’s energy bills by installing radiant barriers in your attic or split-zone heating and cooling systems to heat rooms like solariums while cooling upstairs bedrooms during warmer temperatures. If you or a family member suffers from allergies, you’ll want to find a Missouri HVAC technician who is knowledgeable about the latest cooling and heating products that include antiallergen filters. Contractors who work in the HVAC industry keep up on the latest in heating and air conditioning technology so outdated or troublesome systems can be retrofitted with newer, more energy-efficient models. Some of these professionals may work with your contractor, builder or other home improvement professional to get the job done. Find HVAC contractors on Houzz. Look in the Professionals section of our website and search for Missouri HVAC contractors. Read reviews and see how an HVAC contractor might approach your Kansas City, MO home’s heating and cooling challenges.